ShaDeeLa Discovers a Treasure Chest of Unique and Rare Finds! Buddhas and Beads owners Spirit, Brad and Coolie travel the world collecting exotic and distinctive beads, baubles, amulets and trinkets to sell in their West Ocean City store. Give yourself ample time to browse through the thousands of colorful beads made from stone, shell, wood, metal, clay and glass, while surrounded by eclectic sculptures, masks and antiques. You'll find everything from Indonesian hand carved items to intricate metal Tibetan Prayer Book holders. The store literally takes you on a journey around the world. 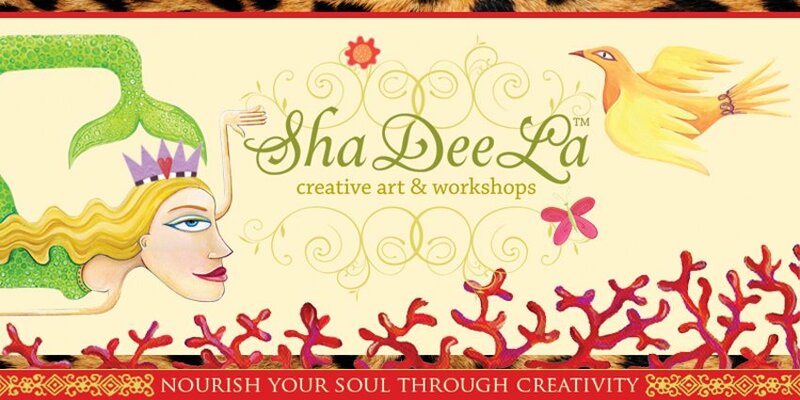 After collecting your perfect variety of treasures, join us for a fun and relaxing ShaDeeLa Workshop called Adorn Thyself where we will help you to create your own special and unique fashion statement in the form of a necklace and bracelet. Don't forget to pick up 20 extra beads for our "Bead Swap"! It's going to be a fun night! Call (410)213-7008 for store hours.